It's reported that 40 million people experience anxiety. For me, it's circumstantial. 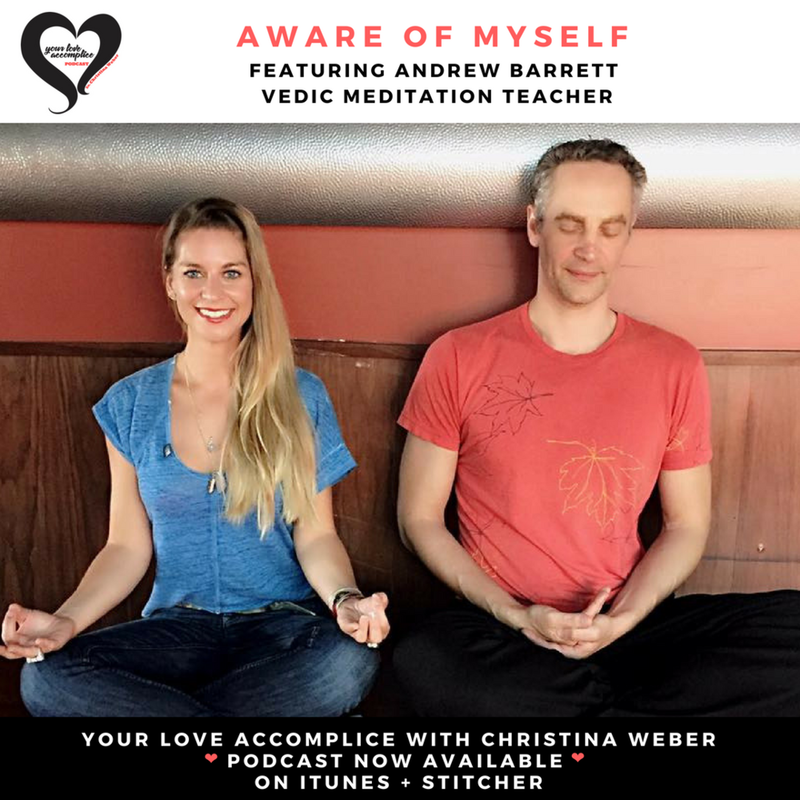 Andrew Barrett, a Vedic Meditation Guide, and I discuss tools to calm your nerves when stepping outside of your comfort zone. Excitement and anxiety may feel similar as we expand to take in a new partner to arrive in love, in union with each other. Stay with it. Awareness creates the opening.